PewDiePie lashed out at YouTube’s leadership for its decision to release an original movie starring fellow YouTuber Logan Paul. Paul’s movie was paused in light of his infamous Japan ‘suicide forest’ video. YouTube delayed Paul’s movie for 10 months, but PewDiePie’s original series has been on hold since February 2017, when the video star made anti-Semitic remarks. Both YouTubers have managed to maintain large followings even amid controversies. YouTube says it released Paul’s movie because it involved others and wasn’t a solo project, and now says Paul is considered to be in good standing with the company. Felix Kjellberg, the YouTuber known as PewDiePie, and Logan Paul have both fallen from YouTube’s good graces over the last year, with each facing their fair share of controversies. Now, Kjellberg is criticising the way YouTube responded to each of their respective controversies in a new video, taking aim at the company’s leadership, which he feels has treated him unfairly. YouTube quietly premiered a movie Paul stars in – “The Thinning: New World Order” – on its YouTube Premium subscription service recently, to little fanfare. It caught the attention of Kjellberg, who boasts more YouTube channel subscribers than anyone else at 67 million. Kjellberg voiced his frustration with YouTube in a new video on his channel. Kjellberg said YouTube is treating him unfairly, hitting him with a stricter punishment than Paul, and that the offenses the two YouTubers committed were pretty similar. The mistakes that Kjellberg refers to include multiple videos where he made anti-Semitic jokes or included Nazi imagery. 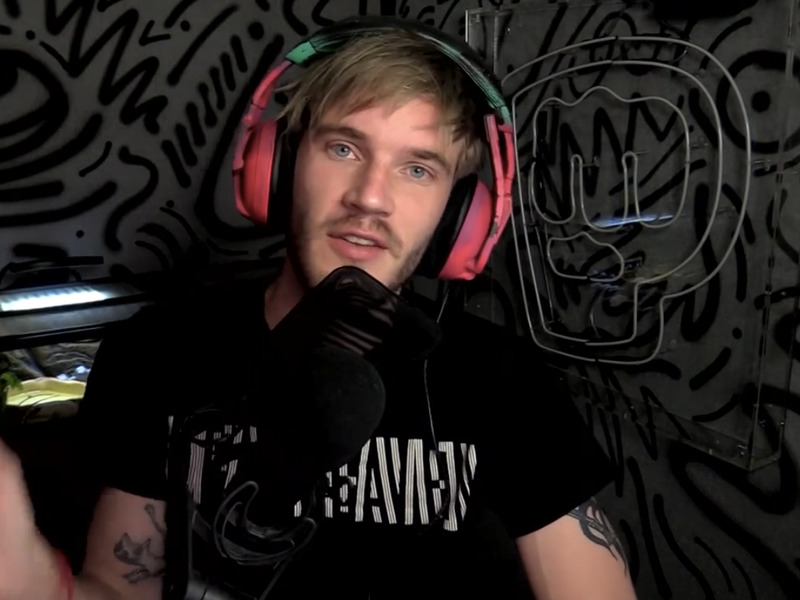 The Wall Street Journal found the videos right on his YouTube channel back in February 2017, including a video where he paid two men to hold a sign saying “Death to all Jews.” The response was swift; YouTube canceled the second season of the PewDiePie series and cut all business ties with him. Fast forward to the beginning of 2018, when a similar series of events took place, this time concerning Logan Paul. The YouTuber posted a (since deleted) video from an area in Japan dubbed the “suicide forest,” and recorded the body of a man hanging from a tree. Reaction to this was also pretty immediate, and YouTube put Paul’s movie on hold. Although the punishment that YouTube doled out to the two men was pretty similar – putting their original content on hold, making their videos ineligible for lucrative YouTube Preferred ads – Paul’s movie was released after a 10-month delay. A YouTube spokesperson told Business Insider that the movie was released because the movie is not Paul’s project alone, but a production that Paul was hired for along with other cast and crew members. “In fairness to all of [the cast and crew] and the fans who have been asking for the sequel, we decided to release ‘The Thinning: New World Order,'” YouTube said in a statement. YouTube said that Paul is now considered to be in good standing with the company. Both Kjellberg and Paul maintain massive social media followings and loyal fans, and both have landed in hot water for their actions and words. Here’s a recap. Internet sleuths unearthed numerous tweets from Paul’s account – 2012, 2014, 2016 – that were incredibly racist toward multiple groups of people. In the infamous “suicide forest” video from December 2017, Paul and his friends stand around a corpse hanging from a tree while making jokes about suicide. Just two months later, Paul faced backlash for a video showing him Taser two dead rats on his balcony. “No rat comes into my house without getting tased,” he says in the video. In February 2017, nine videos on his YouTube channel were found to show Kjellberg making anti-Semitic remarks, including the video that features the “death to the Jews” sign. When singer Demi Lovato was hospitalized over the summer for an apparent drug overdose, Kjellberg shared an image in a (since deleted) tweet that depicted Lovato asking her mum for money to buy a burger, and then instead using it to buy heroin.